Specifically designed for roller skates, the customizable R-Fit Footbed Kit helps to improve alignment and athletic performance, alleviate pain from common fit issues, and provides comfort while reducing fatigue. 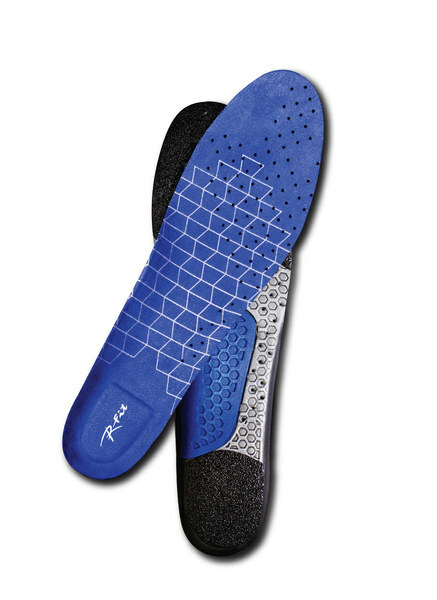 The R-Fit Kit includes the R-Fit Footbed, along with interchangeable Arch Supports, Heel Wedges, Heel Lifts, Metatarsal Pads, and an instruction guide. The footbed will fit any stock width RIEDELL boot and comes in several sizes specific to the type of RIEDELL boot that have (low cut, menEach Riedell R-Fit Footbed Kit includes 1 pair of the following items: R-Fit footbed, metatarsal pad, heel lift, heel wedge, medium arch support (pre-installed in footbed), low arch support, high arch support and installation manual. Please choose the appropriately sized footbed when making your selection. Items marked "LowCut,W-HiTop" are sized for all of RIEDELL low cut boot models Items marked "Mens,High Top" are sized for RIEDELL men's high top boot models. RIEDELL R-Fit Footbed Kits are compatible with boots from other brands. Sizing may vary.